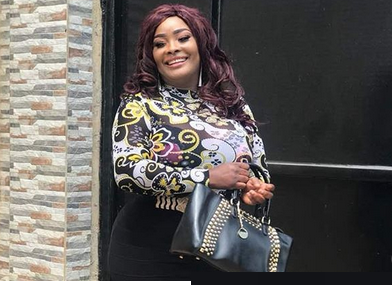 Popular Yoruba actress, Ronke Odusanya, is a full dose of vivaciousness laced with panache that has continued to mesmerise film lovers, especially those who love Yoruba films for years. She’s particularly famous for her provocative front and rear views, as they are as captivating as they are attractive. But Ronke is far more than that. As imposing as her physical attributes are, talent is what stands her out in the industry. Days ago, the actress popularly known as Flakky Ididowo took to her Instagram page to advise her fans on her to approach life by not acting on impulse. She also advised on self-love and determination. “Never act on impulse, plan, first think it through, then act with a determination, not to be turned aside by thoughts of the past and fears of the future” she said The ever-smiling Yoruba actress, is a lady with a class who believes in self determination; she is a product of her messages as she took the bull by the horn by letting go of her romantic relationship with Pasuma Wonder. It takes only a woman with a great self determination to make such decision. Ronke believes that not all relationships end in marriage, and such was her relationship with Pasuma Wonder. “The increasing self-esteem and self-love also makes you feel more deserving of good things in life and so you will self-sabotage less and go after what you deep down want with more motivation and focus than ever before,” she added in the message.